Crafting Alchemy Guide for Elder Scrolls Online with details on how to best level this consumable profession dedicated to creating powerful Potions and Poisons. High level alchemy can be a very profitable craft, as both potions and poisons are highly sought in PvE and PvP. Unlike other vocations, Alchemy is fairly easy to max up if you have a discerning eye for the procurement of Reagents. Alchemy mixes Solvents and Reagents to create Potions and Poisons. You will spot herbs and mushrooms, or loot certain special reagents from monsters even if you haven’t crafted a potion or poison yet. You can interact with the Alchemy Station and visit Daniel Telleno in the Mage’s Guild to begin your certification – which will allow you to craft special daily Writs. 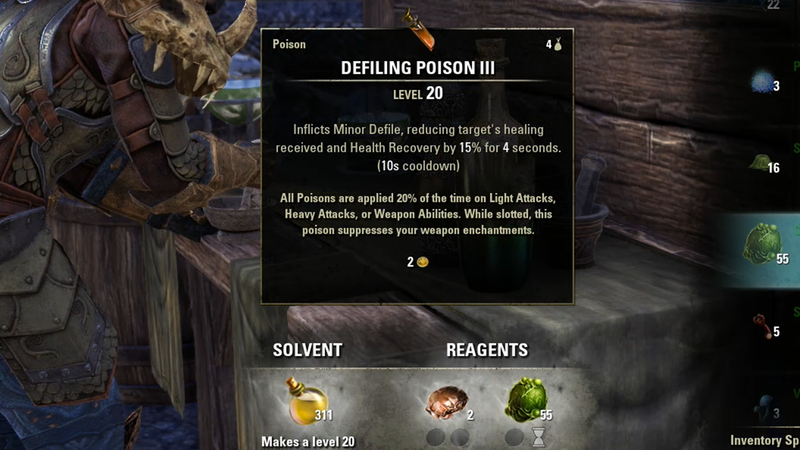 Solvents are the base lubicrant used for Potions and Poisons and they dictate what level Potions and Poisons will be crafted at. Higher level gives better effects. For example, if you use Natural Water as Solvent, it will yield a level 3 potion. If Cleansed Water is used, the resulting potion will be level 30. There are 2 types of Solvent. Water and Oil (Grease, Ichor, Slime…). 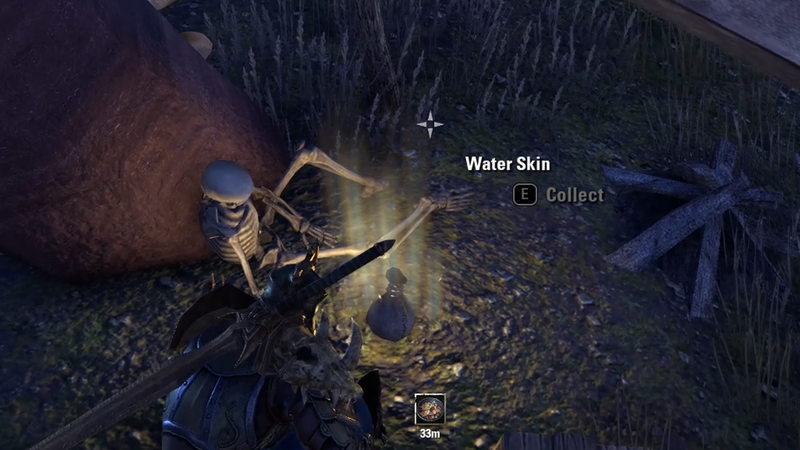 Water is used for Potions and can be found in containers, urns, water skins and rivers. Oil is used for Poisons and drops from Monsters. Both Water and Oil are farmed easily by just doing Dungeons and looting everything there. Water from a river or lake. Water Skins also provide water. The level of Solvents that you find in the field is subject to the game’s Battle Leveled system. Meaning it will give you materials based on Character Level and Alchemy Rank. For example if you are a high-level character (CP 160) and have no ranks in Alchemy, you will find 50% of materials for max level, and 50% starter materials. If you have a high level character and maximum rank in Alchemy, only highest level Solvents will be found. Reagents determine type of Potions and Poisons crafted. Every Reagent has 4 properties that are discovered by successfully combining them together. To mix things successfully, Reagents need to have one shared property. 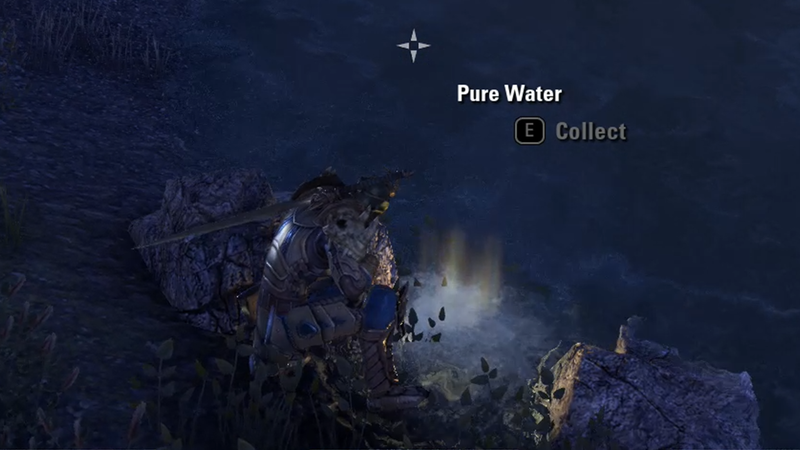 Reagents can be found in nature (herbs and mushrooms) and by killing certain monsters and insects (animals parts) or completing Abyssal Geysers in Summerset. Regents are found at random and are not level-gated, but you can expect to find Water Hyacinth and Nirnroots by bodies of water, whilst mushrooms will grow in caves and the shaded crevices near rocks and tree trunks. Mountain Flowers and such leafy flora is likely to be found in grasslands and open spaces. The skill Keen Eye: Reagents will make these items glow in-game. 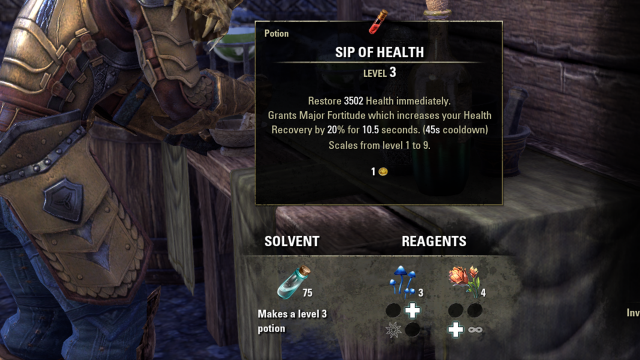 To create a “Sip of Health” potion you need 2 Reagents with the Restore Health property. In this case Blue Enteloma and Mountain Flower will do the trick. The only thing that remains is to add a Water Solvent to determine what level the Potion will be. By changing the Solvent to any Oil Solvent, a Draining Health Poison is created in this instance because Oil is used for Poisons. Solvent Proficiency determines what level of Solvents you can use in crafting. These affect the level of your potions and poisons and of the Solvent materials you find in the field, so you will want to max it. This is a very important Skill for Alchemy. It gives Herbs anice glow when near them so you can spot them easily. At least 1 point into Keen Eye is recommended since Herbscan be difficult to spot. Medicinal Use extends the duration of Potions for up to 30% (only for yourself). Produces more Potions and Poisons per crafting attempt to a maximum of 3 extra potions or 12 poisons. Laboratory Use lets you add a third Reagent into the mix. This can be used to create powerful Potions and Poisons. Here is a list of Best Potions in the game you can craft with Laboratory Use passive. Some of the most powerful Potions in the game have negative effects next to positive ones. To remove those negative effects you need Snakeblood. At Rank 3 all negative effects are removed, this isn’t the most necessary skill so you can leave it for later. Leveling Alchemy is done by discovering the properties of Reagents, and simply creating Potions and Poisons and doing Alchemy Writs. 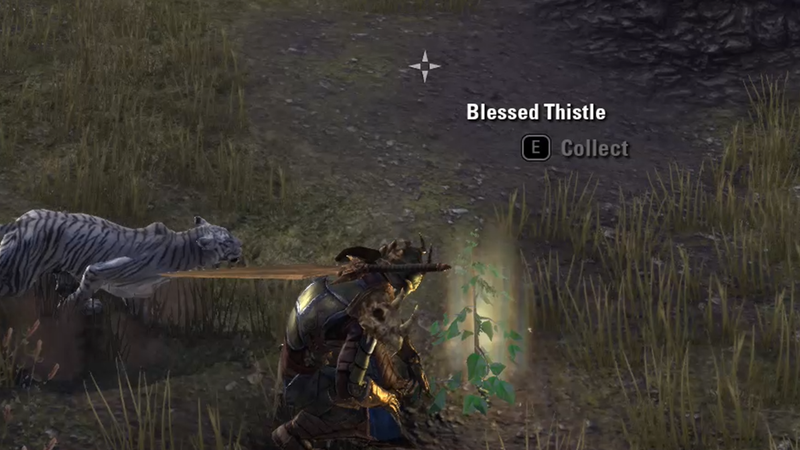 Writs can be problematic to accomplish sometimes because of specific Herb required to complete the quest. 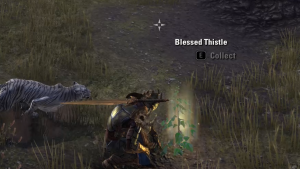 While creating necessary Potion or Poison to complete the quest is easy, finding 3 Blessed Thistle, for example could be a challenge. 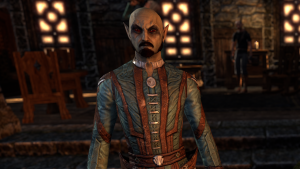 This page contains more information on where to farm these Herbs, but you can also find them in Guild Stores and obtain reagents as a reward for completing special Cyrodiil PvP quests. A great way to level Alchemy quickly is complete an easy-to-farm potion or poison over and over again with the highest possible Solvent. To make Master Writs, mix 3 ingredients from the reagents list, ensuring 2 of each buff/debuff desired is there. All Reagents have four traits that must be discovered by usage. Combining the same trait from two or three reagents in a potion will produce that effect, the potion’s magical quality. Many reagents have both positive and negative traits and a specific negative trait will “cancel out” the positive form of that trait. Animal Parts are easier to come by then Herbs because they are predictable. Running Dungeons such as Spindleclutch can net you a lot of Spider Eggs. A second ingredient that is easy to farm and works with Spider Eggs is either Mudcrab Chitin or Scrib Jelly. 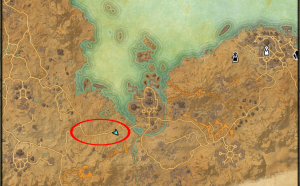 To farm Mudcrab Chitin just go to any beach and have at it. Scrib Jelly drops from Kwama Scribs, Workers and little Scribs with 1 HP. 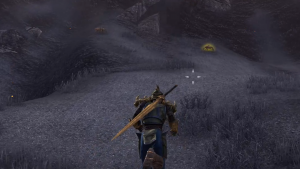 One of the best spots for farming Scrib Jelly is in Stonefalls between Vivec’s Antlers and Sulfur Pools Wayshrine. Kwamas are located at the bottom of a huge mountain. Oil Solvents are really easy to come by in any Dungeon where enemies are Animals of any sort. Now keep combining Grease, Spider Eggs and Mudcrab Chitin/Scrib Jelly until Rank 10 has been achieved. After reaching Rank 10, upgrade the Solvent Proficiency passive and now you can substitute Grease for Ichor as the Solvent to increase Inspiration gain per crafted Poison. After reaching Rank 20, upgrade Solvent Proficiency again and substitute Ichor for Slime. Keep doing this until max rank is achieved. 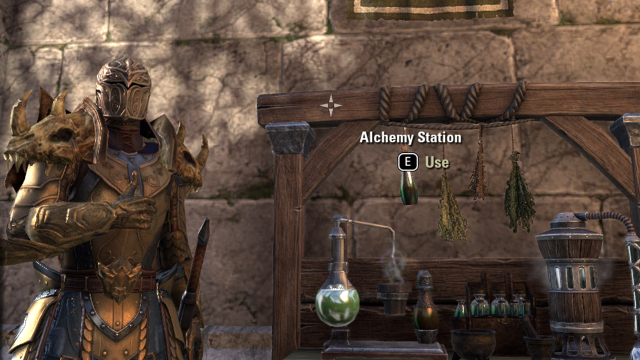 Alchemy in ESO is an easy vocation to take that will pay off at end game. Crafting high level Potions and Poisons and selling them at Guild Traders is great way of making money. Farm easy monster materials and craft the same potion over and over while leveling Solvent Proficiency when needed. 1 more point into Keen Eye: Reagents is recommended for easier Herb gathering. Herb gathering is optional until you hit high ranks because crafting with Animal Parts and Oil Solvents is much faster, but it will pay off to collect everything you find as you level up. Don’t forget about other passives as well when high rank has been achieved. 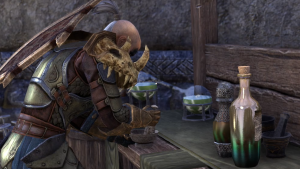 As with any Crafting Vocation, Inspiration gain can be boosted by 10% from ESO Plus, 10% from Orc Race and 20% from Inspiration Boost Champion Skill. Stay tuned for more ESO Guides as we take on Crafting, Dungeons, PvP and of course, Builds! Check out our Jewelry Crafting Guide and Leveling Guides.